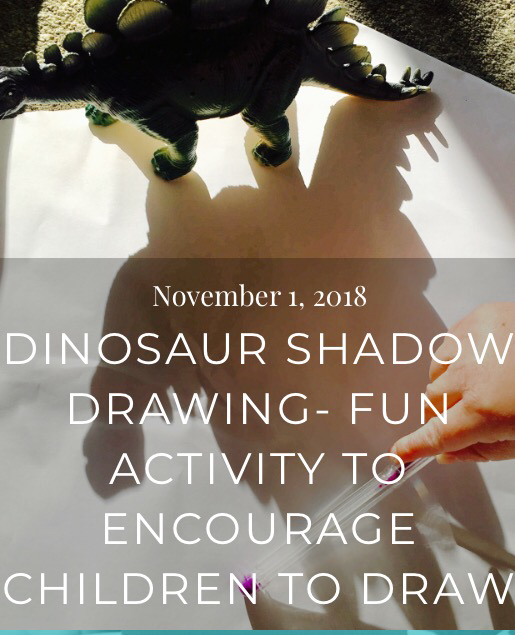 We’ve been doing a fun, quick and easy to set up activity that should tempt even the most reluctant of drawers to put pen to paper- Dinosaur Shadow Drawing. Great for your children at home who need some encouragement to draw, or in preschool or primary school as a way of encouraging children to encorporate mark making in their play. It doesn’t have to be dinosaurs, we chose dinosaurs because that’s what the child loved- but it could be any toy/object that they are interested in. 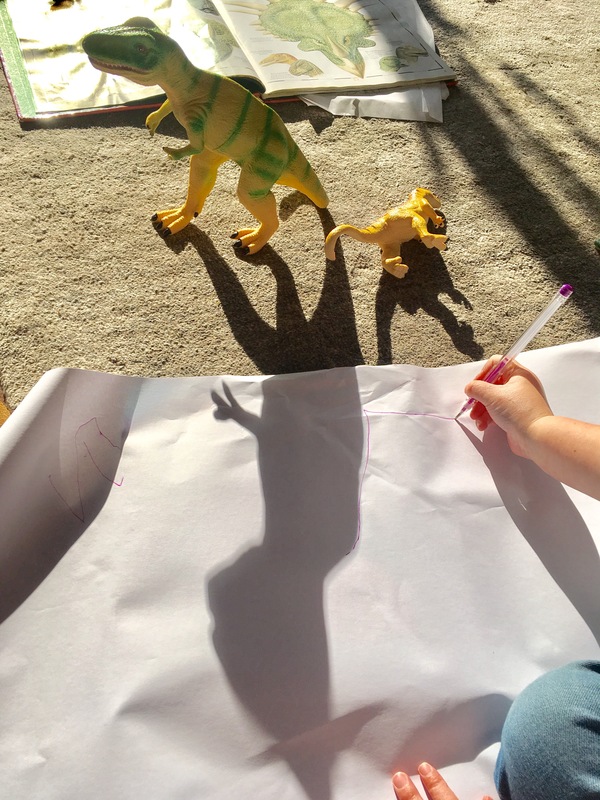 So simple- either choose a sunny day, use a torch or even a projector in a classroom – and put the peice of paper behind the toy dinosaur where the shadow is cast and draw round it! Extend the activity by getting them to colour it in, add detail, write the name of the dinosaur and even discuss when the shadows are longer and shorter. How do children benefit from this activity? 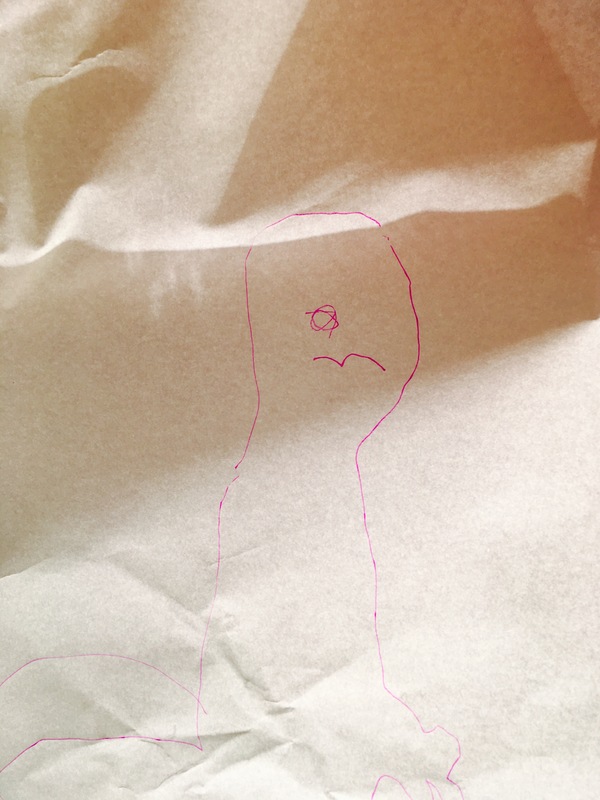 Encourage Drawing– we found it to be a brilliant ‘hook’ to get children to draw. 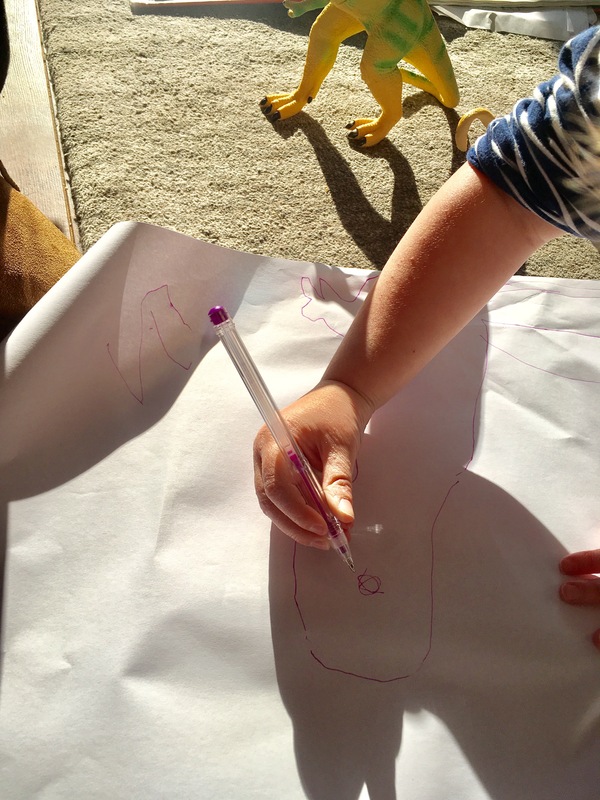 If you are wanting to help your child start to learn how to write, practising drawing first is important…and fun. Develop Fine Motor Skills– Any activity like this will help to build those tiny muscles in the hands and fingers which are vital for tasks such a learning to write. 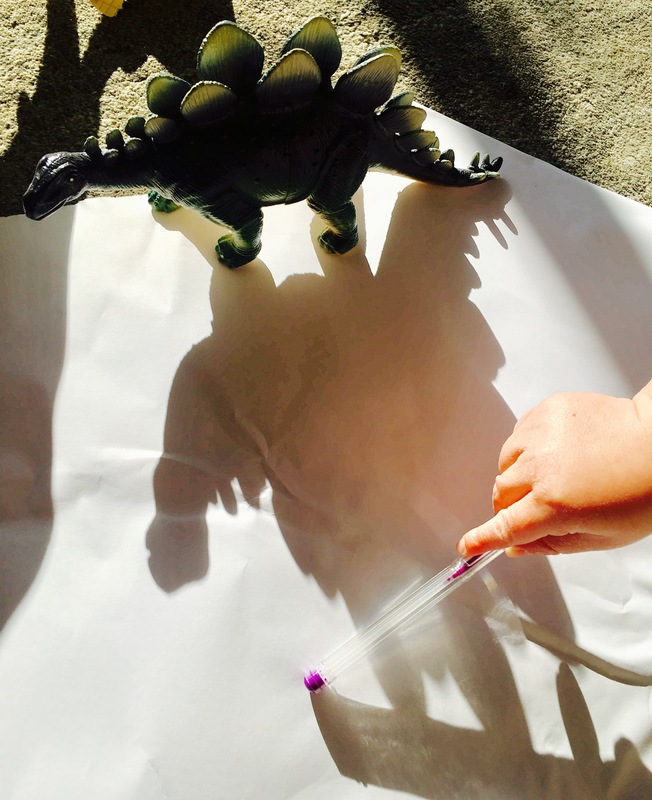 Build Concentration and Attention to Detail– In order to make it look like the dinosaur children need to concentrate on the shadow and the pay attention to the detail- this is a great skill to help develop. The dinosaurs we used are from Learning Resources UK. They can be found on Amazon here. *This post contains Amazon affiliate links, which just means we get a referral fee if you buy the product- it’s at no extra cost to you just helps us pay for the running of this website. More details can be found on our About Me Page.